I’ve always loved springtime… daffodils popping up in the yard, asparagus and strawberries appearing at the market, the chill of winter fading, and a sense of new beginnings circling. Last year at this time I was traveling to Florida because my Dad had a stroke. During that time I barely noticed the world around me because I was busy learning medical jargon and trying to make sense of things. This year, life still is presenting challenges, my Dad’s health being one of them. As always, for me the hardest part about this journey is that I am not able to “make him well” and that is hard to take. I want to know that my efforts have some effect, but the truth is that sometimes they don’t. When things are out of my control (and aren’t they always?) I gravitate towards areas where I feel like I am making a difference. One of those places where I have found myself doing that has been at my neighbor’s house. Anny and her new baby boy, Sebastian, are living there. Sometimes I can help Anny by holding Sebastian while singing and rocking. 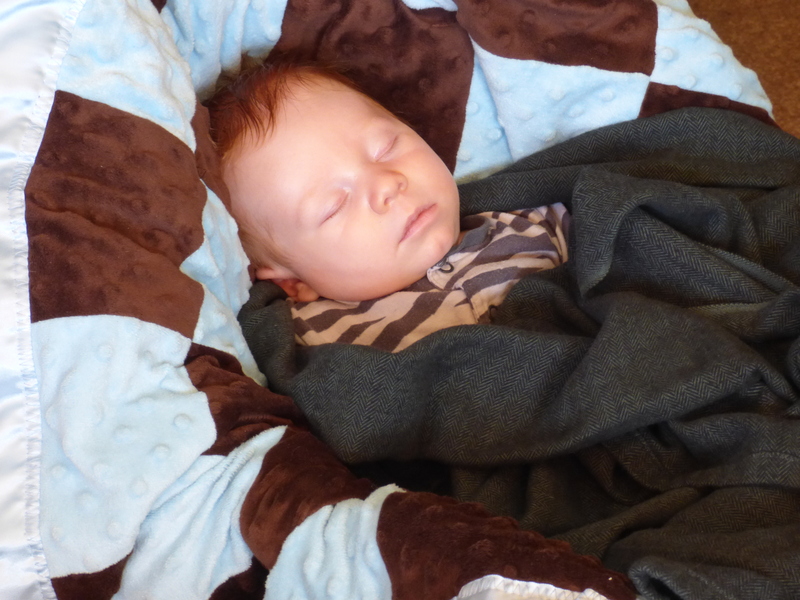 If I am lucky and he falls asleep in my arms I almost feel as if I have been awarded the Nobel Prize. In other words, my skills have been validated. 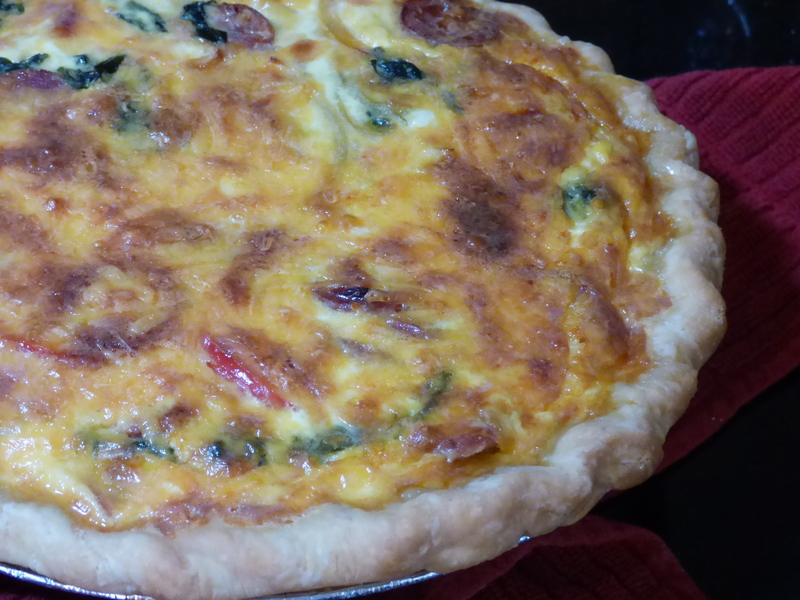 Yesterday I baked an Asparagus, Red Pepper, and Chicken Apple Sausage Quiche for Anny. I know that taking care of a new baby (and nursing him) is very demanding… and I wanted to give her a special treat for doing such a great job as a new Mom! 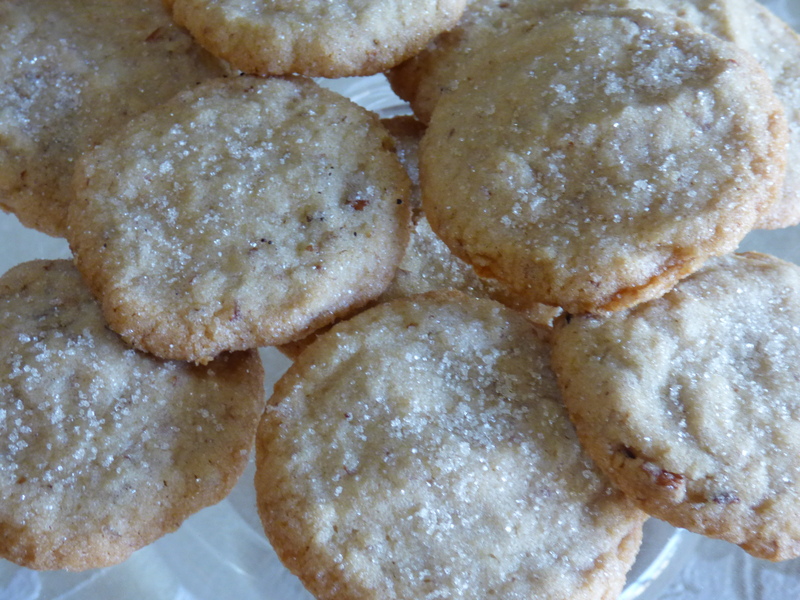 I also baked several batches of Pecan Shortbread cookies this week. I LOVE those things.. and really, what’s not to love? These cookies are a simple combination of sugar, butter, flour and pecans… and they’re delicious! Some of those cookies made it into the hands of the men who delivered my new Kitchenaid oven yesterday (oh my goodness… it is so lovely!) 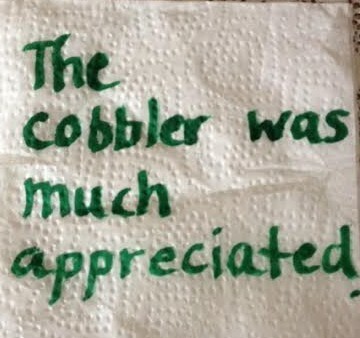 and some of them were given to a homeless man who held a sign saying “Anything helps.” I’ll admit, I ate two of them and could easily have polished them all off! 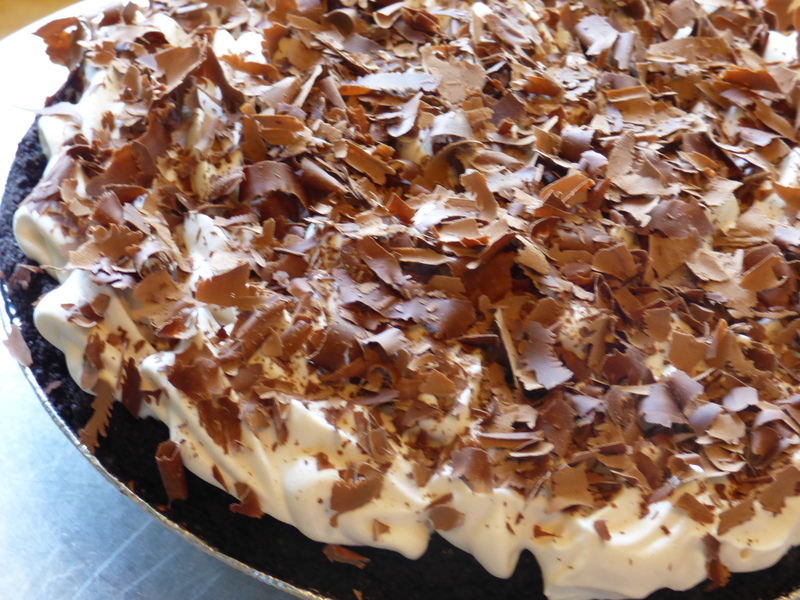 Finally, yesterday I made a Chocolate Cream Pie for some friends at a local radio station, Kool 103. 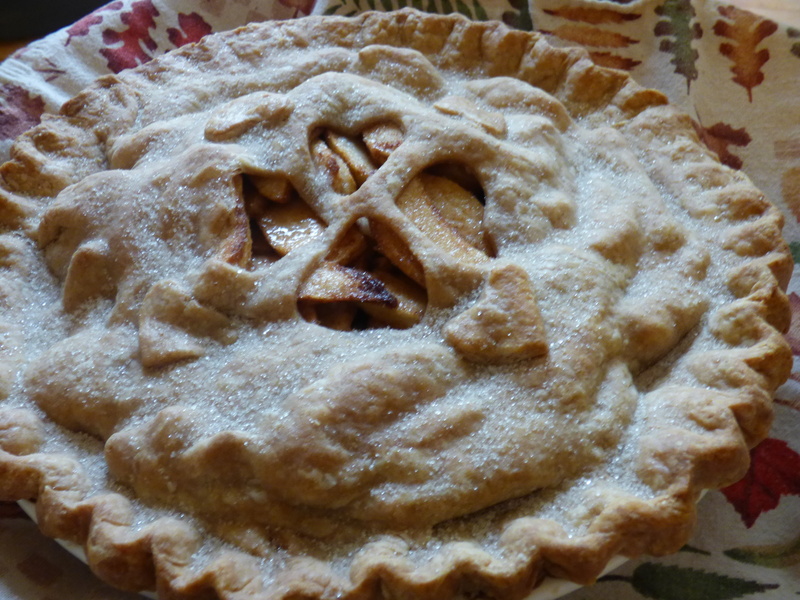 Once again, I was the lucky winner of a prize… and to thank them I dropped off the pie. Making goodies for them has long been my tradition… and I think that there’s a slight chance that they might even look forward to me winning! Tonight I send good wishes to you all for a Happy Spring… and if you are in the mood, try out this recipe. You’ll be glad you did! Mix butter and sugar together until creamy. Add vanilla. Stir in flour until just combined and then add the chopped nuts. Take tablespoonfuls of the cookie dough and roll into balls. Roll the balls of dough in sugar and place on cookie sheet; gently flatten each dough ball. Place pan with cookies into oven preheated to 350 degrees and bake for 12-15 minutes, or until cookies are beginning to brown around the edge. Remove cookie sheet from oven and let cookies cool. Enjoy! 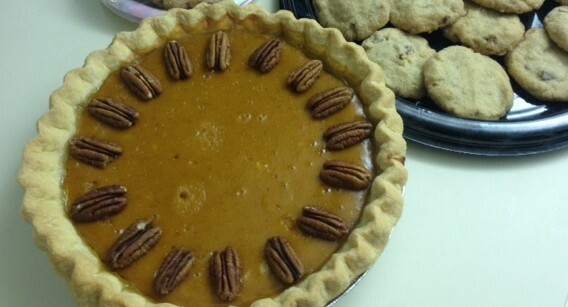 Tags: Anny, Asparagus and Red Pepper and Chicken Sausage Quiche, Chocolate Cream Pie, Dad, Julia Child, Kool 103, New oven!, Pecan Shortbread, Sebastian, Springtime!